The most recent addition to the Haslemere Chiropractic Team is Marc Sanders, joining us in 2017. He graduated at the top of his class (valedictorian) from Bournemouth University with an MSc in Chiropractic with Distinction, receiving the Hugh Gemmell Memorial Scholarship and the Arthur Scofield Memorial Award for academic excellence, having the top marks in his year for 5 years in a row. Prior to this he gained a BSc in Biochemistry from the University of York, where he received the Oxford University Press Achievement in Biosciences Prize and published two scientific papers on anti-malarial drug research. He is registered with the General Chiropractic Council and is a member of the British Chiropractic Association. Marc became a chiropractor after being inspired through his experience of receiving chiropractic care for sports injuries he obtained through cycling, and observing the impact that his father (also a chiropractor) had on changing his patients’ lives. Marc’s focus is on allowing you to return to what you love doing, whether it is sport, work, or looking after your children or grandkids. He believes that it is important to determining the cause of your specific problem so that it can be best managed to avoid or minimise it coming back in the future. With his patients, Marc uses joint manipulation and mobilisation, exercise rehabilitation and soft tissue techniques in combination with lifestyle advice to alleviate his patients’ pain and improve the function of their joints. 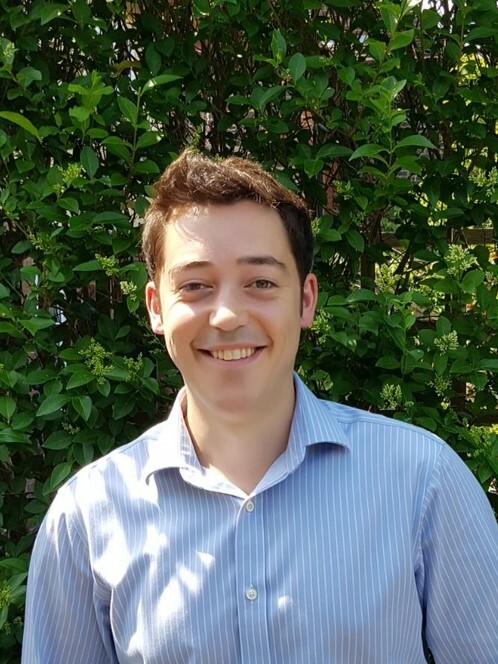 Through his time at university Marc gained clinical experience within Christchurch Grove Surgery, working with GPs to help NHS patients receive optimum care for their musculoskeletal complaints. As part of the collaboration with the Anglo-European College of Chiropractic, he worked with the Red Bull Racing Formula 1 Team to provide injury prevention screening for the pit stop crew. Marc also built his experience with sport injuries by providing treatment and advice to Bournemouth Athletic Club, Zoom Triathlon Club, and Bournemouth University sports teams. In his free time, Marc enjoys mountain biking, surfing and ju-jitsu.